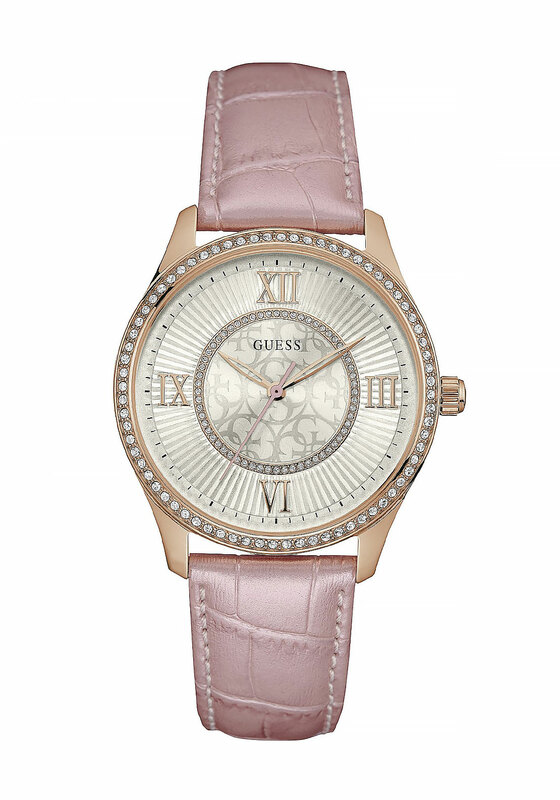 This ladies Guess watch boasts a beautiful genuine leather pearly pink strap. 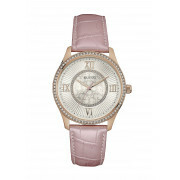 The remarkable rose gold Roman numerals on the face are accentuated by the rose gold trim that is set with small clear stones. 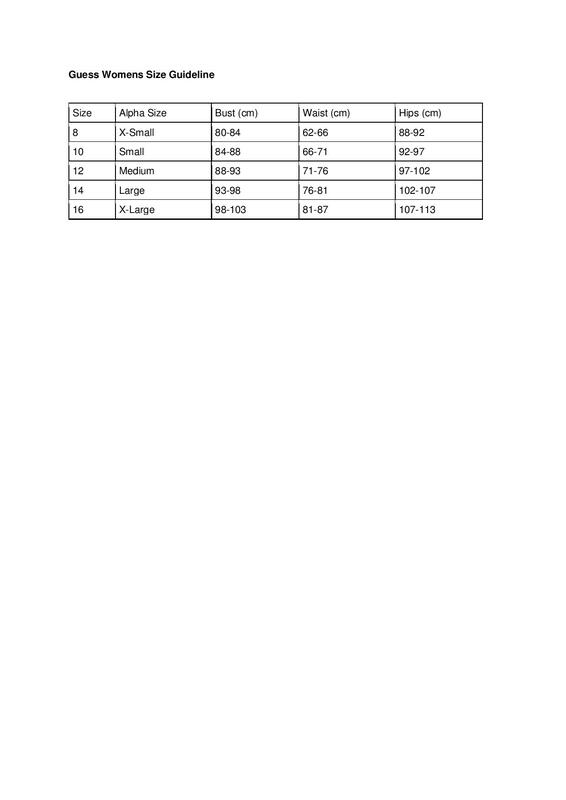 This product is presented in Guess packaging and is water resistant.